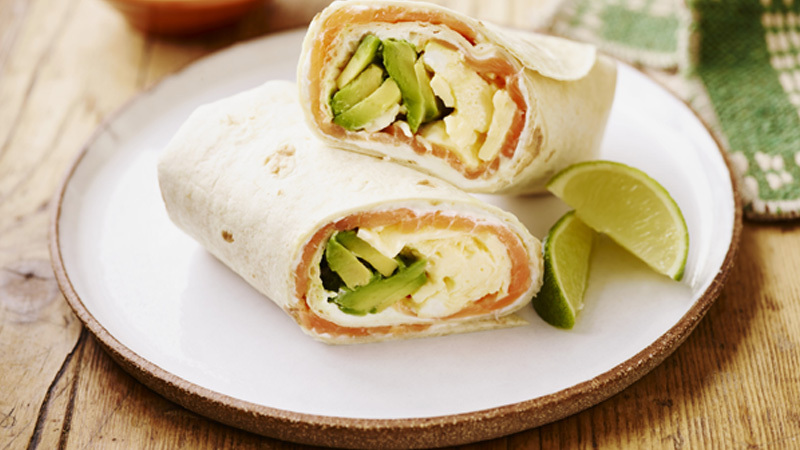 These luxurious burritos packed with soft cheese, smoked salmon, lightly scrambled egg and avocado are perfect for an extra-special breakfast or brunch. 1. Beat the eggs and milk together with a fork in a small bowl. Season to taste with salt and freshly ground black pepper. 2. Melt the butter in a large saucepan over a medium heat. Pour the egg mixture into the pan. Cook over a medium heat for 2-3 minutes, stirring occasionally with a spatula until the eggs are lightly scrambled. Remove from the heat. Leave to cool for 5 minutes. 3. Spread each tortilla with 1/4 of the soft cheese leaving a 2cm border all around. Top each with a layer of smoked salmon. Spoon ¼ of the scrambled eggs down the centre of each tortilla and top with the avocado slices. Season with freshly ground black pepper. 4. 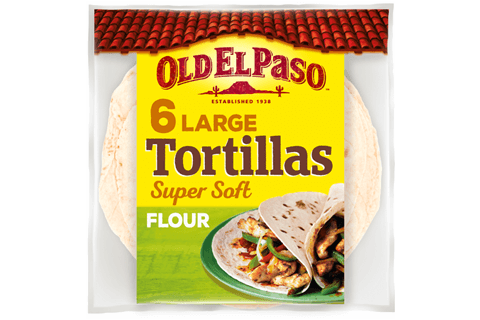 Fold the sides of each tortilla about 2cm over the filling then roll up tightly to completely enclose the filling. Cut each burrito in half and serve with salsa and lime wedges. For spicy scrambled eggs add a finely chopped red chilli or a dash of hot pepper sauce. Instead of smoked salmon try a layer of wafer thin smoked ham or flaked smoked mackerel.